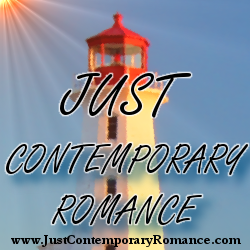 Just Contemporary Romance: Write what you know…. This is what they always tell authors – write what you know. Which means that since my latest release, Hollywood Blackmail, is set in an LA plastic surgery clinic and concerns a nurse and a Hollywood action star, I must know all about plastic surgery clinics, the life and times of Hollywood stars, and living LA, right? I live in Auckland, New Zealand. I've only been to LA once and then I was in Anaheim going to Disneyland. I have never been inside a plastic surgery clinic and I have never met a Hollywood star, let alone been in their house. Also, I'm not a nurse nor have I ever been a nurse. However, I do have the most powerful weapon of all in my writerly arsenal – the internet. I may not have ever been to Santa Monica but I can look up pictures of it – there are even reviews where people talk about what it's like to go there. I can also view maps of the area, read up the gossip columns about Hollywood stars, and look at the websites of various real-life plastic surgery clinics. And because I am a writer and have imagination, I can use all this information to create a story without ever having been there! But essentially all of that is just window dressing. The real story is the romance, the emotions of the characters, and since we're all human and have all experienced love in one form or another, we can all write (and read) from that experience. Because even Hollywood stars fall in love, right? So have you ever met a Hollywood star? Or been to LA? Or written or imagined a place you've never been to? Lizzie Kent needs to forget the past. She lives in total anonymity, immersing herself in nursing to help her forget. But when a man from her previous life turns up in her clinic, the life she’s tried to create for herself may come toppling down. Ash knows what he wants and he wants Lizzie, the girl who left him all those years ago. As Hollywood's greatest action superstar no one says no to him, but when Lizzie refuses to acknowledge their shared past, he has to resort to a little old fashioned blackmail. Will Lizzie revisit her past to enable her future with the man she loves, or do old wounds run too deep?